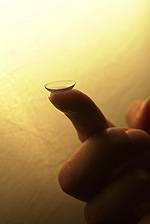 Eyecrafters offers contact lenses in many varieties including disposable soft contact, bifocal/multifocal, toric, and colored lenses. Whether you enjoy standard contact lenses or want something new like dailies or monthly lenses, our locations carry most major brands and options. If you’re dropping by Eyecrafters, we’ll be glad to replenish your supply of contact lenses. Plus, while you’re at our office, ask one of our opticians or staff on the benefits of contact lenses and how they differ than glasses. While we pride ourselves in providing excellent glasses, we know that some rely on contact lenses, and we are here to help.